Our decadent Four Seasons bouquet is a luxury hand tied arrangement bursting with seasonal vibrancies with Bouvardia, white Anastasia, germini flowers, aqua roses and chrysanthemums. 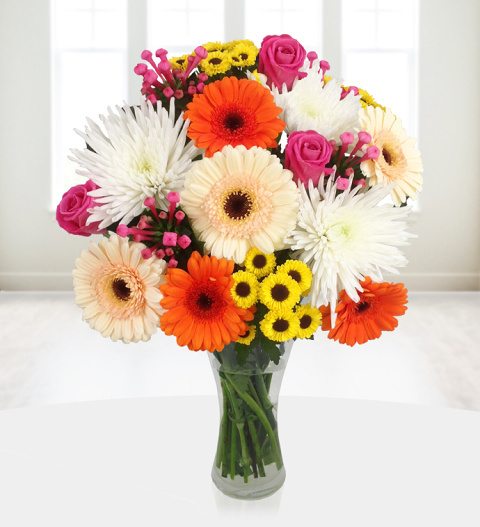 This is a bouquet that presents that instant wow factor. The Four Seasons is perfect for all occasions and comes with a free box of Belgian chocolates and is available for UK next day delivery. Chocolates may contain nuts.